The final of the IPL was a week ago today – andin 5 days time the opening match of the T20 World Cup, between hosts England and the Netherlands, takes place. It really is a crowded international schedule these days. The previous, and inaugural, T20 World Cup was hosted by South Africa and won by India two years ago. The hype and excitement of that tournament added energy and freshness to the cricket world, yet this years edition has been more understated. That probably has a lot to do with the circus that is the IPL, yet one has to feel that those marketing the World Cup in England could perhaps do a better job. World Cup’s shouldn’t sneak up on you. The IPL should have been the appetizer to the main course, which starts next week. Lets hope the cricket does a better job and all the right noises are made after. When T20 cricket launched itself onto the world stage it was viewed as pure entertainment, a hit and miss form of the game, and not taken too seriously by those on the field. There was almost a feel that it was more about luck than skill and not much could be done to curtail the individual. It wasn’t cricket – it was glitz. Barely two years since and how things have changed. T20 is very much a skill based, tactical battle, that seems to sharpen skills, rather than deplete them. The cream always rises, and T20 has seen it mastered by the great players, the players who have excelled in Test and ODI cricket, and not the close your eyes and swing variety. T20 is real business and will be fought out by the best players over the next few weeks. The favourites for the crown will be the same for any cricketing competition held at this team, no matter what the format. Defending champions India have perhaps benefited the most from the IPL as their pool of players playing at a higher level has increased to one meaning a squad of 50+ players could easily be assembled. Their opening combination of Sehwag and Gambhir didn’t really fire during the IPL andwill be looking for form in England. The early swinging ball may not be to their liking, but both will be looking to get the team out of the boxes fast and not just solidly. There after the hitting power in the Indian squad is phenomenal. Anyone of Dhoni, Yusuf Pathan, Raina, Yuvraj and Rohit Sharma will be able to single handedly build a total. If the batting comes off India will be hard to beat. The bowlers have a less solid look to them. Sharma, Pathan, RP Singh and Kumar will be complemented by the spin of Harbhajan and Ojha, but the key may be the form of Zaheer Khan. Zaheermissed the later part of the IPL with a shoulder njury. India’s success may depend on how quickly he recovers his form back. Australia go into this World Cup without the favourites tag that has accompanied them for much of the last 15 years. Their squad is solid if not spectacular, but would have benefited from the rest they forced on much of their IPL contingent. The Aussies will be looking to get their hands on the only ICC competition that isn’t there’s right now. They will also be using the World Cup to get them off to a good start to their Ashes series. The dark horse tag, rather than favourite tag, may help the Aussies this time, although they have never been burdened by being favourites. South Africa crashed out of the last edition with a loss to India in their last 2nd phase group game. It was their only loss in the competition and heir only poor performance. Smith’s men felt hard done by, given that 3 of the 4 semi final teams had lost more than them. They will be looking to get things right this time around, and maybe without the expectation of being hosts or favourites, may have more freedom to carry them forward. The balance of the squad is perhaps the best since South Africa returned to international cricket in 1992. Half the squad didn’t feature much in the IPL and should be well rested. Albie Morkel and Smith had poor showings with the bat last month and will be looking to fare better for their country then they did for their IPL teams. Yusuf Abdulla was the revelation of the first hald of the IPL, leading the wicket table at that stage, before being left out for the returning Brett Lee. He will look to carry on with that form, while at the same time showing the Kings 11 that they should have stuck with him. Abdulla, Albie Morkel, Kallis, Steyn and Parnell all offer swing, while Morne Morkel, with bounce and pace, and the spin twins of Botha and van der Merwe, make the attack a potent and balanced one. JP Duminy and AB de Villiers stared with the bat in the IPL and will be looking to carry that form. The squad boasts some of the best fielders in the world, and carries no real weakness. Solid batting, big hitting, depth, pace, swing, bounce, and spin. South Africa are looking good. With England looking to make the most of home conditions, and momentum, following an easy convincing series win over the West Indies, and New Zealand always handy on the big stage, there are a fair amount of dark horses to watch out for. Pakistan have had very little cricket and havemuch to prove. The best outside bet however may be Sri Lanka. The seeding for the World Cup is based on the previous edition. This means that if all the top teams get through the opening phase, and they should have little trouble here, the big three favourites, India, Australia and South Africa willfind themselves in the same group, playing for 2 semi final places. Sri Lanka will be in the other group and should have an easy march trough to the semi’s. The batting lineup is a strong one, with Jayasuriya, Sangakkara, Dilshan and Jayawardene all able to adept to the needed situation, and in Murli and Malinga, they have two bowlers who won’t make any total look safe. Sri Lanka will be hoping that the big three all batter and bruise each other, weakening themselves for a possible semi andfinal show down, while the big three will be hoping that a harder run in, and an easier one for Sri Lanka, will leave them better prepared. The winners should come from those four. However little will be taken for granted, and with a World Cup crown up for grabs, all will be giving there all to get their hands on the crown. The shorter format leads to greater chances of upsets, so the slightest complacency will be punished. If the weather plays its part we should be treated to some great cricket, hopefully cricket worthy of being the main course to the IPL appetizer. As South Africa once again managed to find a way not to win a major tournament they have once again weakened the case against them being chokers. Even South African fans are finding it difficult to defend against and, more worryingly, are starting to believe it. !996 at the World Cup in Pakistan and India the Proteas breeze through the group stage easily disposing of the likes of Pakistan, England and New Zealand, and are looking firm favourites for the trophy. They lose in the quarter final to the West Indies, who had earlier lost to Kenya. One game lost and they’re out. In England at the 1999 World Cup there was the famous. infamous for South Africans, tie against Australia that knocked the South Africans out at the semi final stage, after all the hard work had been done, and victory seemed certain. In 2003 in their home World Cup South Africa made a mess of basic math and were eliminated at the group stage thanks to a rain interrupted match against Sri Lanka. If they’d scored one more run they would have been through to the next phase. This year in the West Indies South Africa completely succumbed to pressure and were blown away by the Aussies. And last week in the T20 World Cup they meekly bowed out after a tame batting performance against India. They had won their 4 previous matches against the West Indies, where they chased a record score down easily, Bangladesh, England and New Zealand, and had looked like the strongest team in the competition. When it mattered most they came up short. Not only did they capitulate so tamely in that match against India, but they knew that they only needed 126 to make it through to the semi’s and not the target to win the match of 154. They failed to reach either, and just like in 1996 one defeat saw them knocked out. Of course South Africa are not the only team that seems to find it hard to cross over to a winning team, New Zealand regularly make the semi finals of World Cups, and manage to lose that important game. But the consistency that South Africa manage to shoot themselves in the foot is alarming. They have the talent and ability to be the best in the world, but whether or not they believe it is another matter. They need the self confidence to get over this vital flaw in their make up if they are to realistically hope to win a major title. Over the years they have been ranked number one in ODI’s a number of occasions, raking up the necessary wins to get to that point, yet in a World Cup they always fall short. The 438 game against Australia should have been the moment they buried the choker tag once and for all and launch themselves as the top team in ODI cricket. Sadly nothing changed from there. It should have been the confidence booster they needed, they know they are good enough, even in pressure situations. Yet Australia once again dominated them at the 2007 World Cup. The coming season will be an important one for South African cricket. They have a good young crop of players coming through, and tours of England and Australia in the not to distant future to test themselves. Firstly they have a confident and well lead Pakistan to contend with in Pakistan. The young players need experience and exposure, and that will come over the next 18 months, but they also need to free themselves of the mental hold Australia and the fear of choking has over them. Once they get over that there is no reason why they can not dominate world cricket like Australia have. And love him or hate him, Graeme Smith is the strong character needed to lead them inn this fight. Following his omission from the South African T20 squad Jacues Kallis has stepped down as vice captain of the ODI and Test teams, raising doubts about his future. Kallis, one of the finest all rounders in history, expressed his disappointment at being left out of the T20 squad when issuing his vice captaincy resignation. “I have resigned as vice-captain and I’m considering my options with regard to the rest of my career,” Kallis said. “I have been thinking long and hard over the weekend and there is still a lot of emotion involved because I am extremely disappointed. I was very excited about the tournament and hoping to make a huge contribution. The timing of this suggests that Kallis made the decision based on emotion rather then thought, and it is hoped that he changes his mind, particularly by CSA chief executive Gerald Majola. While there is no doubting his class and ability there has long been debate amongst South African fans about Kallis position in the ODI team, when some regarding his run scoring on the slow side. However, with cricket in general moving towards a more aggressive approach to batting, Kallis has upped his strike rate considerably over the last season or so, and has maintained his position as the linchpin in the Proteas batting line up. While Kallis has shown a more aggressive streak in ODI’s he still tends to take a few over to play himself in before cutting loose. With this in mind, and the fact that you have less time to play yourself in in T20 cricket, the feeling is that Kallis best role would be opening the innings. Here he could take an over or two to gain a feel for the pitch and bowling, before opening up. However with Graeme Smith, Loots Bosman, AB de Villiers and Gulam Bodi already competing for the two openers births (one really with Smith guaranteed one of the positions) the likelihood of this happening were slim. 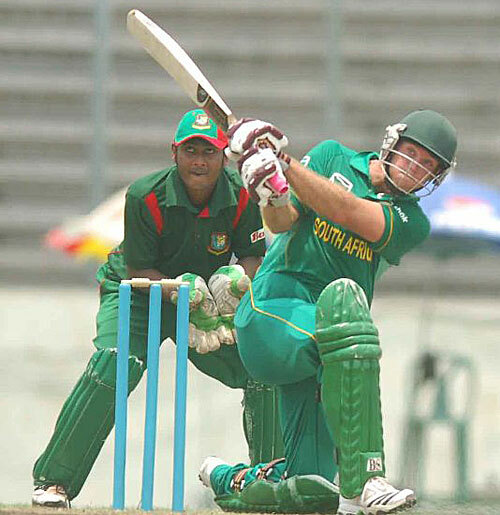 While Kallis has played 6 T20 games, both internationally and domestically, the likes of Bosman and Bodi have played over 20, giving them far more experience and expertise in this form of the game. New chairman of selectors, Joubert Strydom, has put forward the taxing schedule over the next 18 months as the reason for Kallis being rested, and not dropped. Over this period South Africa travel to Pakistan, Bangladesh, India, England and Australia, and with this in mind the selectors felt it prudent to give Kallis a longer rest so as to come back refreshed and able to better handle the rigours of being am all rounder and the batting back bone of the team. Kallis decision, though brash and immature (in terms of timing and not his person) clearly outlines the disappointment he feels at missing out on this inaugural tournament, being hosted by his country. While this can be understood and sympathised with, the rest that he will gain will benefit the test and ODI team, and Kallis himself, bringing a rested, focused and driven Kallis to the field for a tough season ahead. One that ends with a series against Australia. 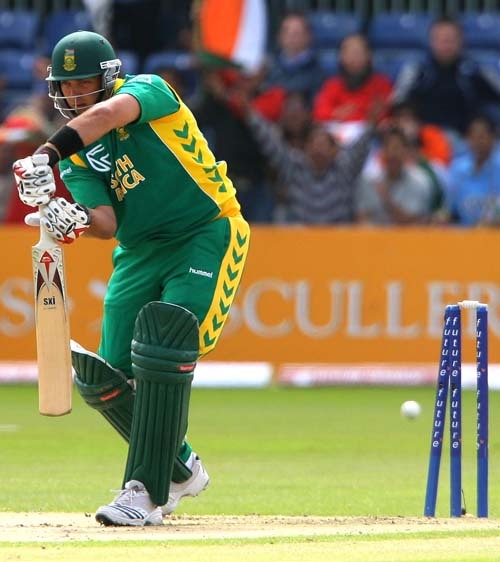 Kallis omission may be the best thing for his game, and the hopes of South Africa’s team in the long run. You are currently browsing the archives for the Jacques Kallis category.